Both Mark & Julie remain committed to providing the most modern and gentle chiropractic care possible. They continue to regularly attend seminars and post graduate conferences to keep abreast of the latest research and advances in health science. They have developed strong partnerships with other health professionals on the Mornington Peninsula. Julie and Mark have 3 children, Tilly, Tom & Oscar and have a special interest in children’s health. They have both done extensive post graduate study in chiropractic paediatric (child) care. “Our objective at Chiropractic Connection is to share our passion for health and help people of all ages. We’d love to meet you and answer your questions. 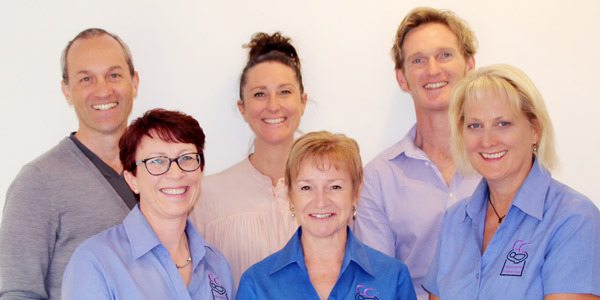 Our Mornington chiropractic team is happy to help! Check out our new Products & Services page to learn more! !